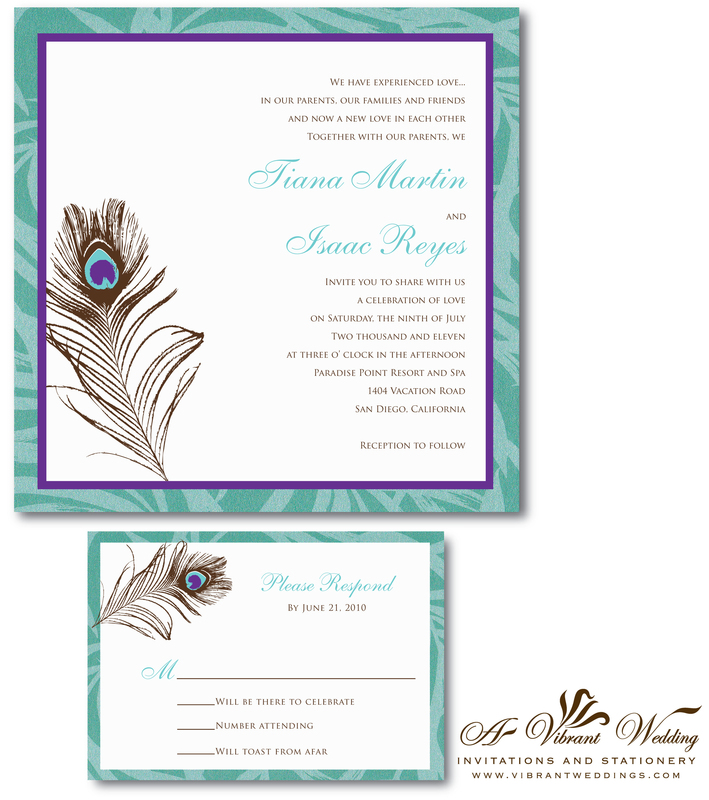 $7.00 per invitation suite. 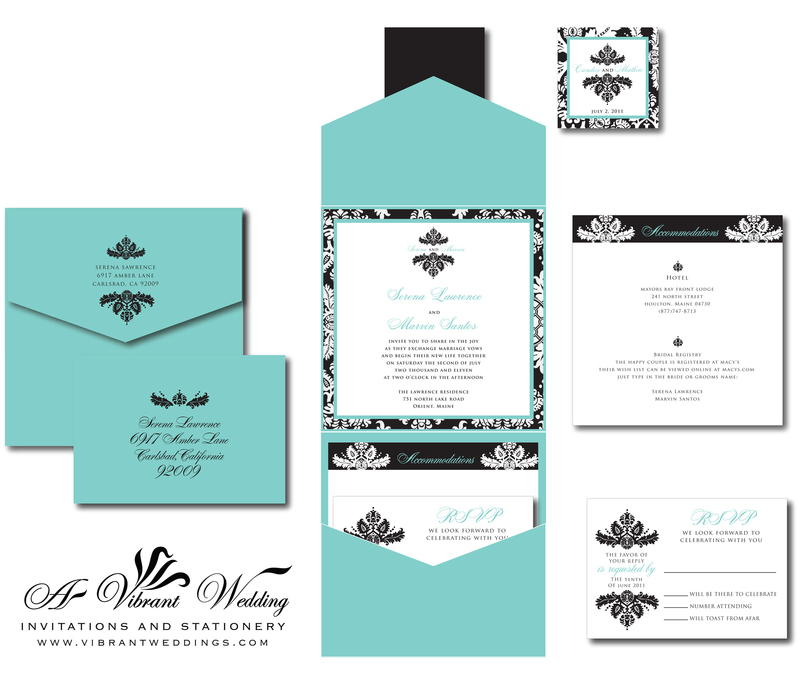 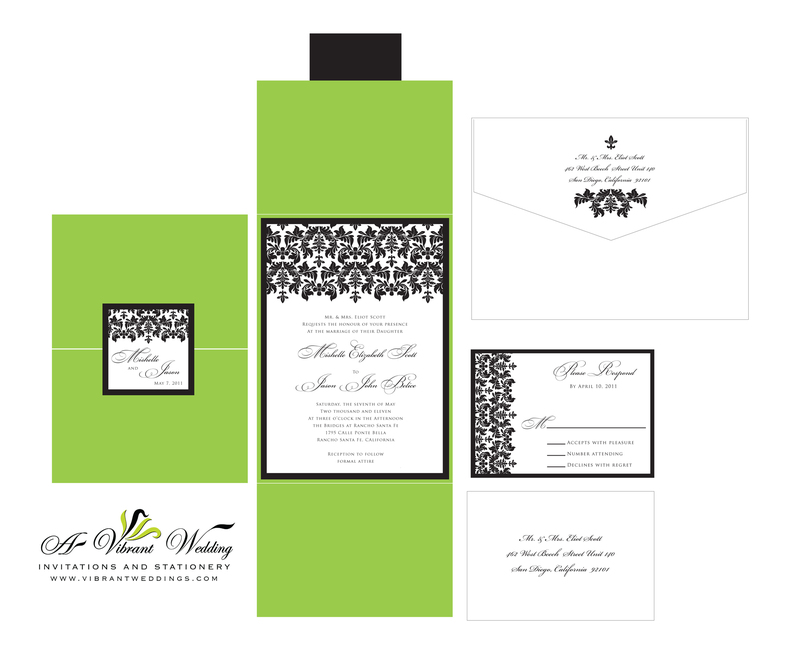 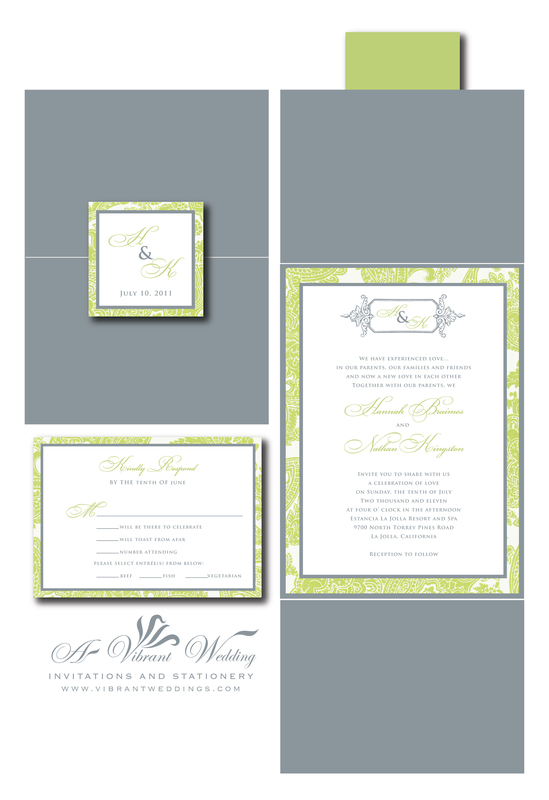 Includes: Response card and two blank matte envelopes. 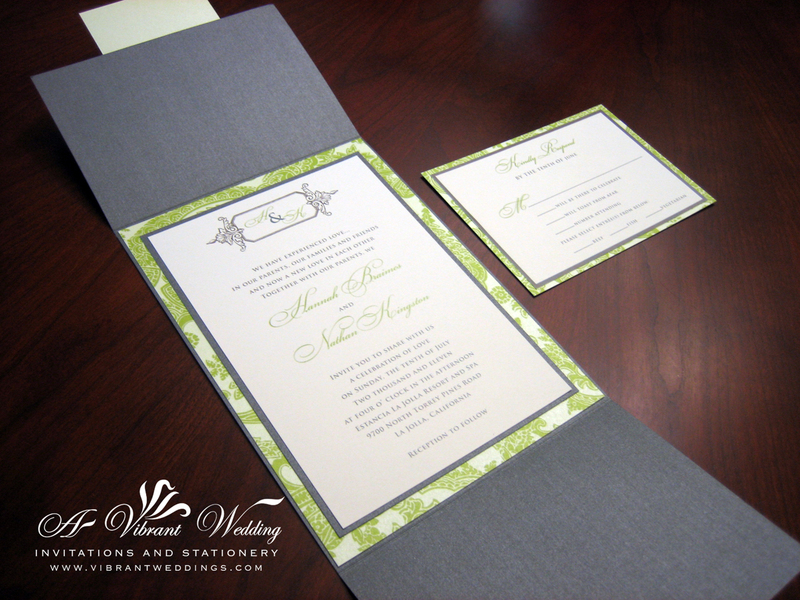 7X7″ Flat Invitation composed of 3 layers of card-stock paper assembled together. 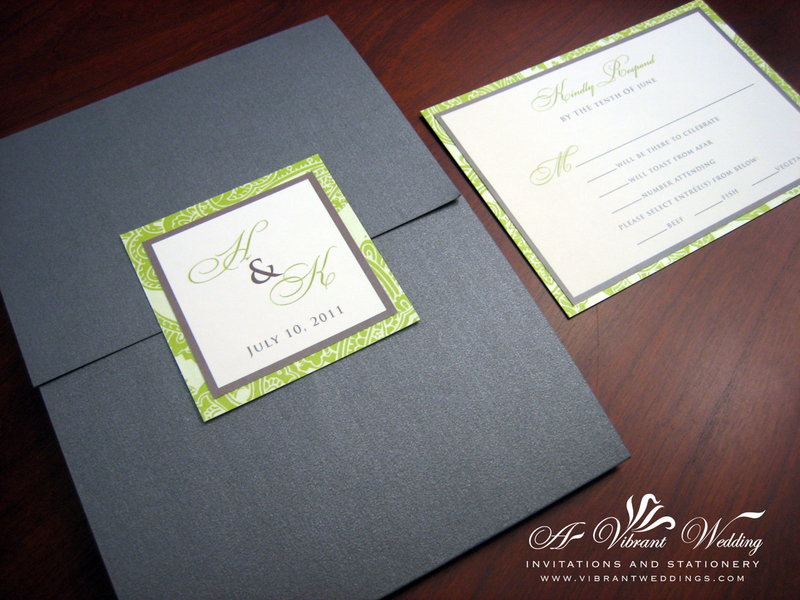 A combination of metallic shimmery and matte card stock paper. 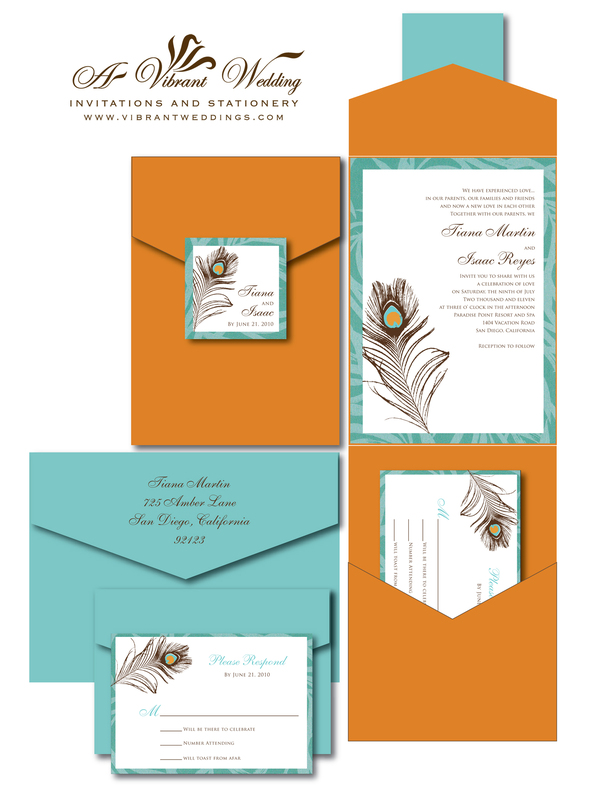 5×7″ metallic burnt orange pocket fold with turquoise palm frond pattern paper and peacock feather design.